USA – The Kay Bailey Hutchison Desalination Plant in El Paso, Texas is preparing to increase its production capacity. The facility—which produces up to 104,098 m3/day—is already the largest inland desalination plant in the world. Officials have initiated a three-phase expansion process. The first phase consists of improvements for the well field which provides water to the plant, the second entails upgrades to the plant itself, and the third will implement the capacity expansion. The expansion scheme is expected to take roughly ten years. It will be funded by ratepayers with the possibility of aid from federal grants. INDIA – The Ministry of Environment, Forests, and Climate Change has approved the construction of a mega-desalination plant at Perur, Nemmeli in the Kancheepuram district of Chennai. The 400,000 m3/day plant is expected to cost $580 million. The Chennai Metropolitan Water Supply and Sewerage Board will bear the full cost of any environmental damage and restitution resulting from the construction of the plant. 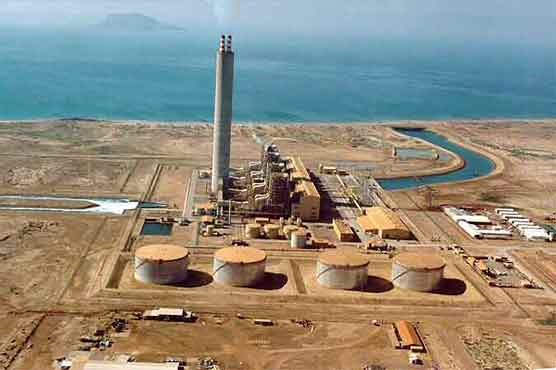 Once complete the plant will be the largest desalination plant in South Asia. OMAN– The operations and maintenance contract for the Shaleem and Al Hallaniyat Island power and desalination plant has been granted to the Oman National Engineering and Investment Company. The plant is located in Wilayat Shaleem and Al Hallaniyat in the Dhofar Governorate. The $2.4 million contract covers a four-year period and work is expected to begin in July 2018. TUNISIA – The Tunisian government has signed a $96 million loan agreement with the German KfW Development Bank for the funding of a desalination plant in the town of Zarat in the Gabès Governorate. The plant will have a capacity of 50,000 m3/day and could expand up to 100,000 m3/day by 2027. The $112.6 million project is expected to be complete by the end of 2018 and will become operational in 2021. The Tunisian government will contribute $17 million to the project. PAKISTAN – Hub Power Company Limited (Hubco) has signed a Memorandum of Understanding (MoU) with FWO Enjazat of the UAE to explore collaboration on various business opportunities in relating to energy, mining, and water recycling and desalination. Hubco Chief Executive Officer Khalid Mansoor stated that the two companies are currently working to develop various initiatives. One potential project involves making use of the 16,000 tons of garbage generated daily in Karachi to generate 200 megawatts of electricity and roughly 900,000 m3 water per day. Chorus Nylander “The Wonder of Water: Outlook of El Paso’s desalination plant’”, ktsm.com, May 21, 2018. <http://www.ktsm.com/news/local/el-paso-news/the-wonder-of-water-outlook-of-el-paso-s-desalination-plant/1191877925> accessed May 29, 2018. “Centre clears mega 400 MLD desalination plant in Chennai”, newindianexpress.com, May 27, 2018. <http://www.newindianexpress.com/cities/chennai/2018/may/27/centre-clears-mega-400-mld-desalination-plant-in-chennai-1819975.html> accessed May 29, 2018. Fatima De La Cerna “ONEIC wins $2.4m O&M contract for Oman desalination plant”, constructionweekonline.com, May 22, 2018. <http://www.constructionweekonline.com/article-49380-oneic-wins-24m-om-contract-for-oman-desalination-plant/> accessed May 29, 2018. “German bank to fund $95m Tunisia water project”, middleeastmonitor.com, May 23, 2018. <https://www.middleeastmonitor.com/20180523-german-bank-to-fund-96m-tunisia-water-project/> accessed May 29, 2018. Salman Siddiqui “Hubco joins hands with UAE firm to diversity into new areas”, tribune.com.pk, May 27, 2018. < https://tribune.com.pk/story/1719921/2-hubco-joins-hands-uae-firm-diversify-new-areas/ > accessed May 29, 2018. “Cyclone Mekunu shuts Salalah seawater desalination plant”, gulftoday.ae, May 27, 2018. <http://gulftoday.ae/portal/9f43dab3-9e7c-4a4c-94e1-927f3b7266df.aspx> accessed May 29, 2018.